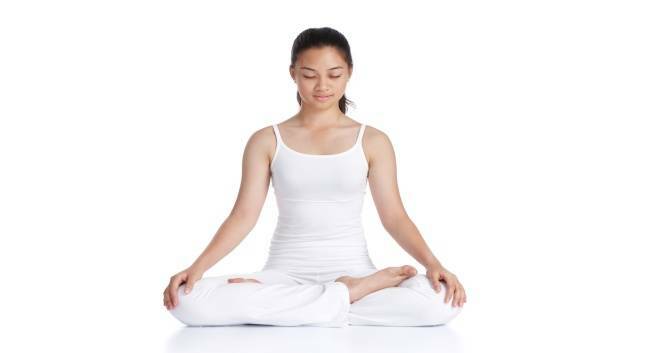 Sitting in a cross-legged manner is an important practice in yoga. Commonly, the cross legged yoga asanas are employed in the practice of meditation and pranayama practices. By demanding flexibility in thighs and external rotation of the hips, the multiple cross legged yoga poses aid in developing a healthy spine, strengthen the lower body areas, and promote relaxation of the body and mind. With the legs crossed, the postural doers can fold forward, twist their body, and also lift their body depending upon the nature of the yoga asana performed. The movement helps in improving the overall health of the body, mind, and soul of the practitioners. For our yoga lovers, we have listed five excellent cross legged yoga poses (asanas) with their respective benefits and modifications. 1. Easy Pose (Sukhasana): A basic seated yoga posture often used in the practice of meditation and yogic breathing exercises with marvelous benefits: stretches the knees, strengthens the back, calms the mind, and opens the hips. Steps: Sit on the edge of the yoga mat with a straight back. Your legs will lay in front of you in an extended fashion. Now cross the legs at the shins on the ground. Widen your knees. Bring each foot under the opposite knee as you bend the knees and fold the legs to the torso. Maintain a gap between the pelvis and the feet. Keep your hands on your knees and look in a front direction. Beginners can sit with their back facing a wall. 2. Lotus Pose (Padmasana): Lotus Pose is a highly-regarded yoga asana that increases blood circulation in the pelvis, destroys all diseases, and prepares the individuals for higher meditation practices. Steps: Begin in the Staff Pose (Dandasana). Bend the right knee and place the right ankle to the outside of the left hip crease. The sole of the right foot should point upward. Bend the left knee across the body and rest the left ankle towards the right hip. Bring both knees close to each other. Slightly lean back and keep the hands in Jnana Mudra. Hold the pose for 10-20 seconds and gradually add a few seconds every time you practice the pose. You can practice the pose with yoga props for avoiding pain and strain in the knees. Initially, perform Half Lotus Pose and then build up your practice to the Padmasana. 3. Cow-Face Pose (Gomukhasana): Cow-Face Pose is a stretching yoga asana that adds an extension to the hips, ankles, shoulders, armpits, and chest. Steps: Come in a sitting position with your legs and back straight. Take a bent at the knees and set the feet flat on the floor. Slip your left foot underneath the right knee and rest it outside of the right hip. Now, cross the right leg over the left with right knee on top of the left knee. Bring the right foot outside of the left hip. Keep the heels equidistant from the hips. Hoist the right arm parallel to the floor. Bend the elbow of the right arm and tuck the forearm into your lower back. Take the left arm back from the side of the torso and hook the fingers of both the hands together. You can also hold a strap between the hands. 4. Half Lotus Pose (Ardha Padmasana): One of the seated cross-legged yoga poses to open the hips and to stretch the ankles. Sitting upright in the posture reduces stress and anxiety. Steps: Start in Easy Pose (Sukhasana). With your hands, bend the right knee, hug it to the chest, and rest the ankle on the left hip crease. Fold the left knee and cross the ankle under the right knee. Lengthen the spine and draw the shoulder blades back. Keep the hands in Anjali Mudra, Gyan Mudra or on top of the knees, palms down. Support the top knee of the leg on a blanket and back on a wall. Perform this pose seated in a chair. 5. Eagle Pose (Garudasana): The practice of Eagle posture stretches the thighs, strengthens calves, improves concentration and balance. Steps: Stand in Tadasana. Balance on your right foot. When stable, cross the left leg over the right and tuck the foot behind the right calf. Toes of the left foot will point towards the floor. Stretch the arms in front and spread your scapulas. Cross the arms in such as way that the right arm is over the left. Now, bend the elbows, make the forearms perpendicular to the floor, and press the palms together. As with all standing poses, use a wall for support and balance. Practice the cross-legged asanas with confidence and comfort for the greater health of your valuable body organs. 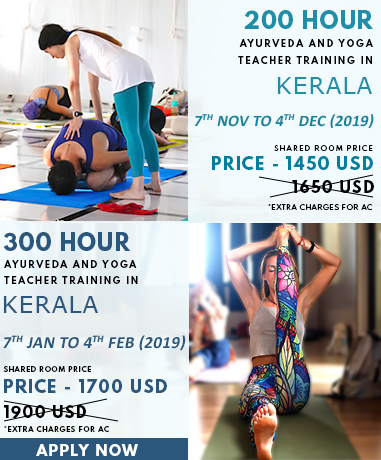 To know about these wonderful Asanas in further detail, explore our Yoga Teacher Training In India.